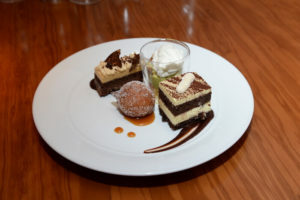 Desserts, Cucina, Lip Smacking Foodie Tours, Las Vegas, Nev.
Las Vegas is known for taking the bigs and making them even bigger: a multibillion-dollar gaming industry, no last calls, mountain views and extravagant shows. Perhaps the city’s most tantalizing aspect, however, is the diverse plethora of food prepared by renowned celebrity chefs. Lip Smacking Foodie Tours partners with many of the city’s dynamic restaurants, whisking groups inside a VIP experience to try memorable and luxurious fare. Whether a day or night adventure, groups visit up to five of Las Vegas’ top restaurants, on the Strip or downtown. 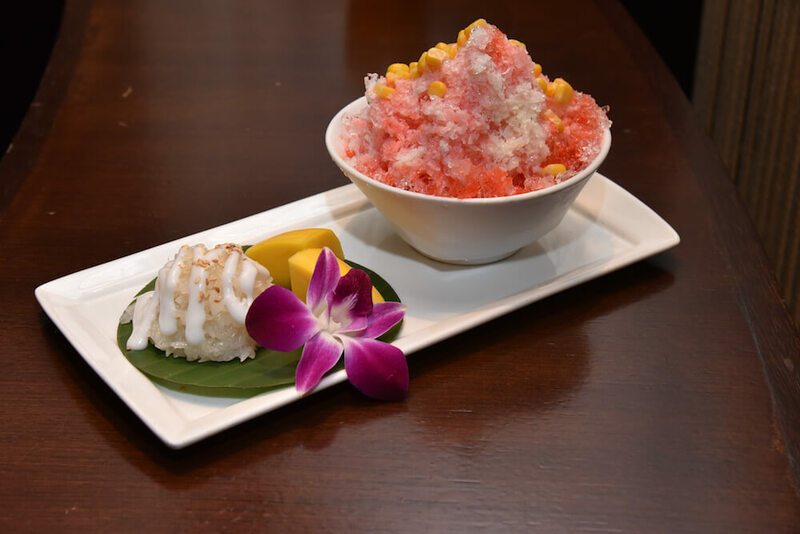 Before launching Lip Smacking Foodie Tours in 2014, Contursi worked in the Strip’s bustling fine restaurant industry for more than a decade. During which time, he acquired knowledge and contacts to help build Lip Smacking Foodie Tours from the ground up. 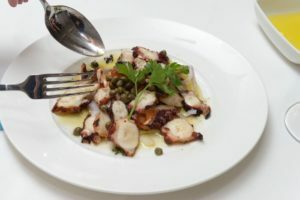 Grilled octopus dish, Estiatorio Milos, Lip Smacking Foodie Tours, Las Vegas, Nev.
Each tour showcases a diverse selection of restaurants, from acclaimed French comfort food to modern Japanese cuisine in izakaya dining style. At each stop, guests savor three to four appetizers, entrees or desserts for a complete meal. Along the culinary adventure, a knowledgeable guide points out little-known artistic and architectural gems, and fun Vegas facts. Tours range from 2½ to 5 hours in length. For more information, call 888-681-4388 or visit vegasfoodietour.com.